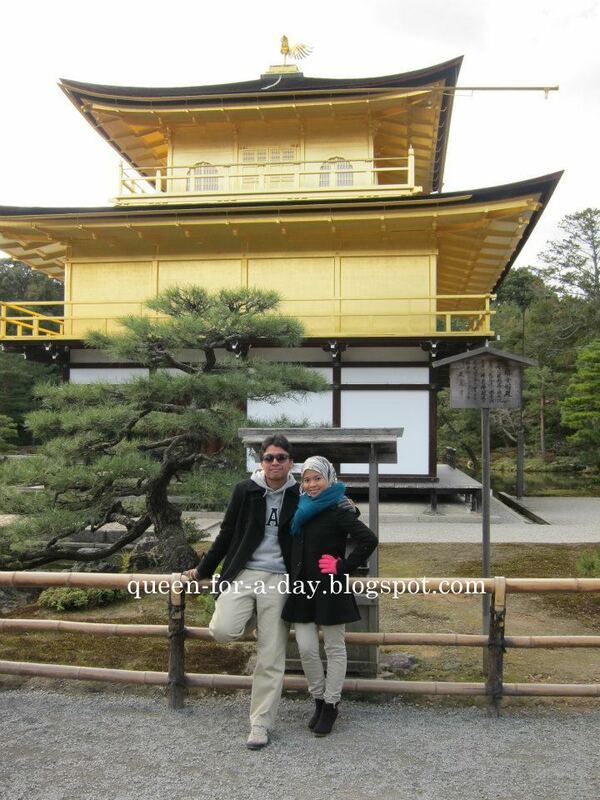 Of course I have been nagging hubby for a visit to Kyoto. We have been planning a Kyoto trip for so long. We wanted Kyoto to be our autumn getaway spot for what the place is most famous for. Like most of you have known, we missed the recent autumn. So, the plan was cancelled. He was overly nice to me by the time he returned that he granted all my passed wishes? Moving on..on the way back from Osaka to our home, he decided to stop by Kyoto. Our journey from south to the north was indeed beautiful! Our journey started in a bright, sunny day. A minute later I saw a light snow falling from the sky. Then it stops and repeat again in the next kilometers. Beautiful! In one hour (or less) we arrived in Kyoto. It was easy for me to realized that I was then arrived in the city. Everything looks so old. I should rephrase that; classic would be the right word for it. Kyoto had been the capital city for Japan for years before Tokyo. In ancient years, this city was the most inhabited by people and you know, its the capital! Kyoto nowadays is as famous as it once had been. Seriously!If you ask any Japanese on the idea of places to visit in Japan, they will definitely answer Kyoto. It was all just because the stunning view reserved in this city. Well I think most view comes from the countless ancient jaw-dropping temples preserved in this old city. Everything you see screams their ancient cultures. Furthermore, its very convenient travelling in Kyoto. According to my tourist guide (the husband), there are 3 most popular temples. If you can't visit all, these 3 temples will be enough for you to savor your eyes of Kyoto. He brought me to the most famous (according to him); The Kinkaku-ji. Us by the Kinkaku-ji; The Gold temple. Coach handbag for sale yo!